Several months ago, I had a really interesting experience trying to find a pair of shoes that I had my heart set on. I must not have been the only one since they were basically sold out everywhere and weren’t expected to be back in stores for another several months. I haven’t had this happen before and it was driving me insane because… I wanted those damn shoes. Ridiculous, I know. I haven’t even had this experience with toys for my boys since I generally shop online and tracking things down on the interwebs is a challenge I don’t take lightly. I live for it, my friends… So when I continued to strike out at every turn and started to think these shoes might get the better of me, I had the genius idea to look for them in my equivalent youth boys size (duh, I should have started here the minute I hit my first several roadblocks). Naturally there was more than enough stock in kids shoes to keep my feet happy for the next 20 years. Lesson learned – and to top it all off, they were twenty dollars less! Hell to the Ya! While this may seem like a completely irrelevant bit of rambling, I am pretty sure it relates to a general state of mind I have adopted lately and think you should too! You see I have had children’s furniture and decor on my mind lately, since I have been trying to finish up the boys shared space. Finding pieces that suit their very different ages and stages while still working as part of the general design plan has been challenging, to say the least. Plus, I don’t exactly have a concrete direction for the design plan this time around, so there is also that… Any time I have a free minute, I scour the wares at a few of my go-to kiddo spots online and hope (pray) that something jumps out at me and suddenly the perfect path will become clear – you know – like divine design intervention. Totally a thing – promise. 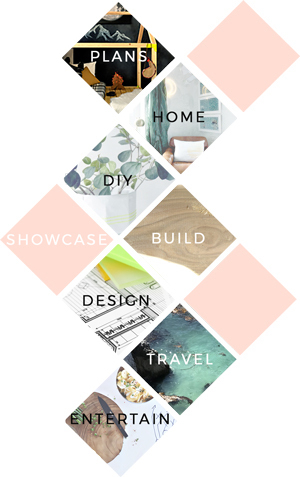 So in true to me form – here is a round up of some of the gorgeous things I am totally crushing on (obsessing is more like it), that should absolutely go home with you (me) the next time you are in the market for a little design update! The scrolling lookbook underneath each layout has a whole lot more than is shown – so don’t be shy and click on through. There is some seriously good stuff in there! A couple of them even have a bit of nostalgia working in their favor and will take you right back to a time where roller skates ruled the roost. Because that time will always be a better time and I promise if my boys weren’t boys – their room would be rocking some of this awesome-sauce peachy pink color – hell, maybe it still will. I have been known to take that leap in the past. Um, that rocker? So good. That bed? To. Die. For.